Bob Cournoyer, president and CEO of Intrinsiq Materials, put in 33 years at Eastman Kodak before joining his current firm. 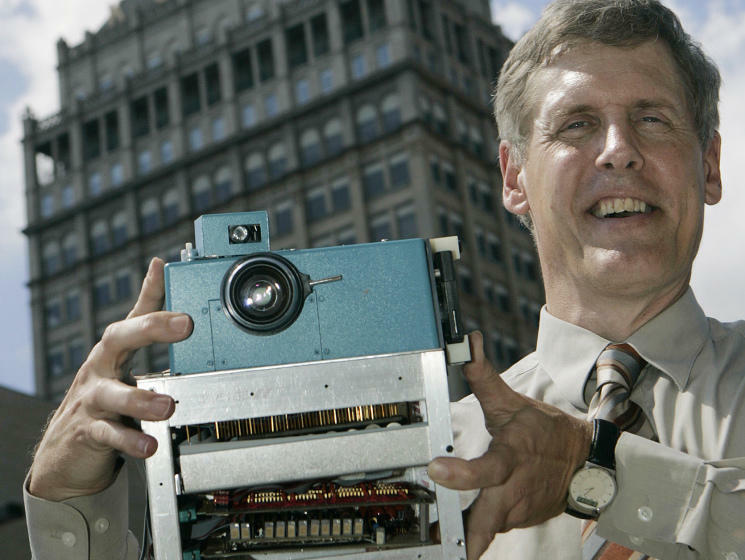 He spoke with the Innovation Trail just hours before Kodak filed for Chapter 11 bankruptcy. "I drive by parking lots every day that I only wished I could get into back when I started with Kodak," said Cournoyer. "Now they're just empty." The abandoned parking lots and imploded buildings that once comprised Kodak's empire are the physical manifestation of the company's decline. But Kodak resources live on. Three-quarters of Intrinsiq's small Rochester workforce is made up of former Kodakers. And the nanotech startup is a tenant of Eastman Business Park, the sprawling industrial campus formerly known as Kodak Park. "We've taken advantage of the facilities Eastman Business Park has to offer," said Cournoyer. "At the end of the day, it's the strong technical infrastructure that keeps us here." Intrinsiq makes high-tech inks that can be used to print circuit boards and consumer electronics. The goal is to be a major player in the emerging printed electronics industry. "This is the decade of printed electronics," Cournoyer says. "By 2020, I expect it to be pervasive." Cournoyer was first introduced to the technology at Kodak. Back then, he headed the Kodak division that developed backlights for LCD monitors. The business was sold in 2007. "Kodak was already experienced in having to make hard choices," Cournoyer recalls. "This particular business wasn't on the mainstream. It was growing and being successful, but it was going to require capital investment." The tech behind Intrinsiq is actually spun off from intellectual property (IP) developed by the British Ministry of Defence. But the expertise doing the developing now is all ex-Kodak. It's a common story in a town where personal connections to the Big Yellow Box are strikingly ubiquitous. 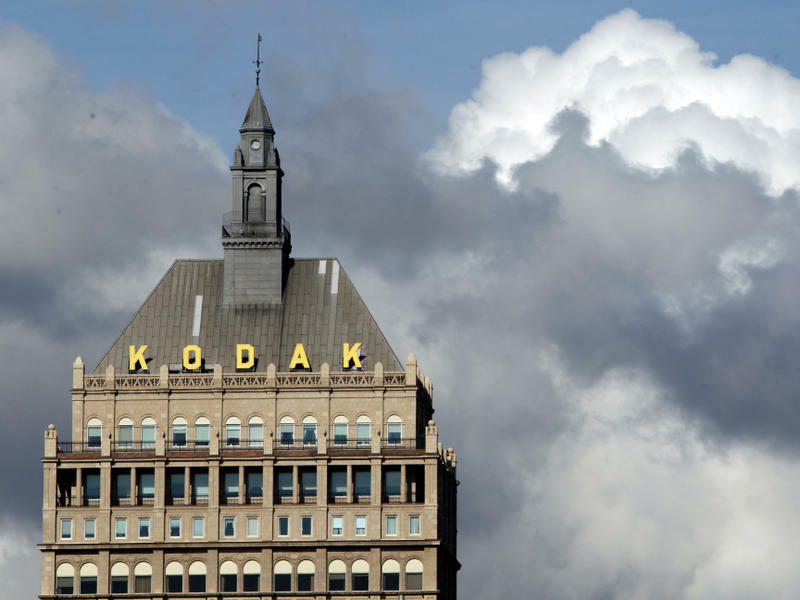 A handful of firms have directly spun out of Kodak technology. Companies as diverse as Carestream Health, Ultralife and a key division of ITT all have roots in Kodak IP. And companies ranging from Intrinsiq, to Cerion Energy, to OLED maker Moser Baer all center on technology Kodak chose not to pursue. In sum, the spinoffs, "microspinoffs," and companies started by Kodak alums "have a huge impact on the community," says Mark Zupan, dean of the University of Rochester's Simon Graduate School of Business. "Instead of 'Kodak Moments' we need to think more broadly of the Kodak imprint on the community," Zupan says. "It's a legacy. It'll persist through the former alums of the firm, the spinoffs and the universities that George Eastman and Kodak so generously supported." Despite Kodak's fall, the Rochester region has managed to stabilize itself. Over the past year, the region added 12,500 private sector jobs. And despite population decline in the city of Rochester, the surrounding Monroe County has grown by 250,000 people since the 1950 census. That's even as Kodak's local employment dropped from a high of 62,000 in 1982 to less than 7,000 today. For what it's worth, Rochester has also become a mainstay of online lists chronicling superlatives. It's one of the "smartest cities in America," one of the nation's "most innovative cities" and one of ten cities "poised for greatness." "We've been an entrepreneurial community since the days of the Erie Canal," Zupan says. "We were the Silicon Valley before there was a Silicon Valley. The big three (Kodak, Xerox and Bausch + Lomb) - just like in the heyday of Detroit - continued to put us on the map." But Kodak's success also bred complacency, says Zupan. His school is teaching future executives that companies must remain agile. "You gotta stay humble and you gotta stay hungry," Zupan warns. "Because if you don't keep performing, you get relegated to the past." Intrinsiq Material's Bob Cournoyer says that's a lesson he witness firsthand. The way he sees it, Kodak primed the pump for Rochester's innovation engine - and companies like his now hold the keys. "[Kodak] has seeded the starts of many companies through the talent that it's created and made available through its 'unfortunate circumstances,' " says Cournoyer. "And I'm sure one of those companies - hopefully it's mine - will start a great company for the area." 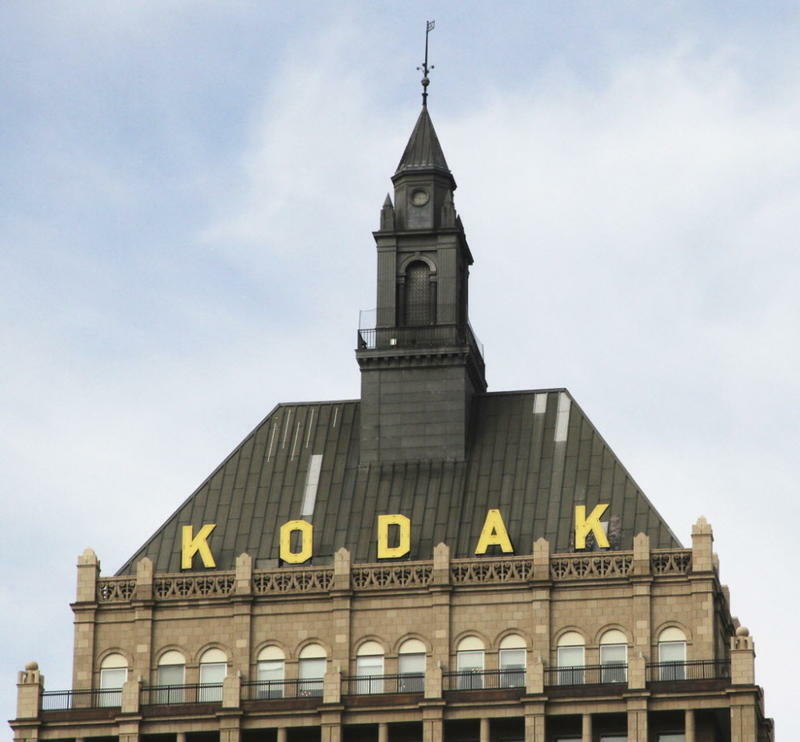 "Running short of cash and unable to sell 1,100 digital imaging patents that could have rescued it," as Rochester's Democrat and Chronicle writes, Eastman Kodak Co. today took the long-expected but still painful step of filing for Chapter 11 bankruptcy protection.